It is time to be electric, not eccentric. Sexuality, passion and love can not be outgrown, they only grow stronger the longer we live. This book was written in praise and celebration of all women who feel life’s passion. We have put the world on notice: nothing can bring down a ‘red hot lady’. 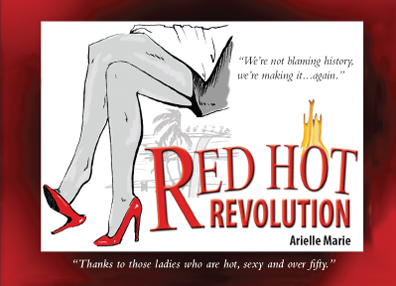 Wear your ‘red hot stiletto’ pin as a symbol of your burning desire to start your own fire!